The light and linear Duo conference chair was created from two pieces of moulded Grada plywood. 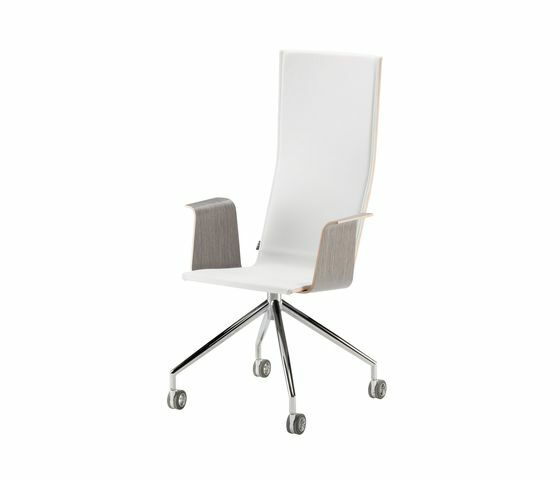 The new Grada technique enables lighter, slimmer pieces with a flexibility property making the chair very comfortable to sit on. By using Grada, the material waste generated in the manufacturing process of our factory in Lahti decreases, creating a beautiful, modern chair with a smaller carbon footprint. Abundant material and upholstery options provide the Duo product family with a wide range of usability options in various conference, waiting and meetings facilities.